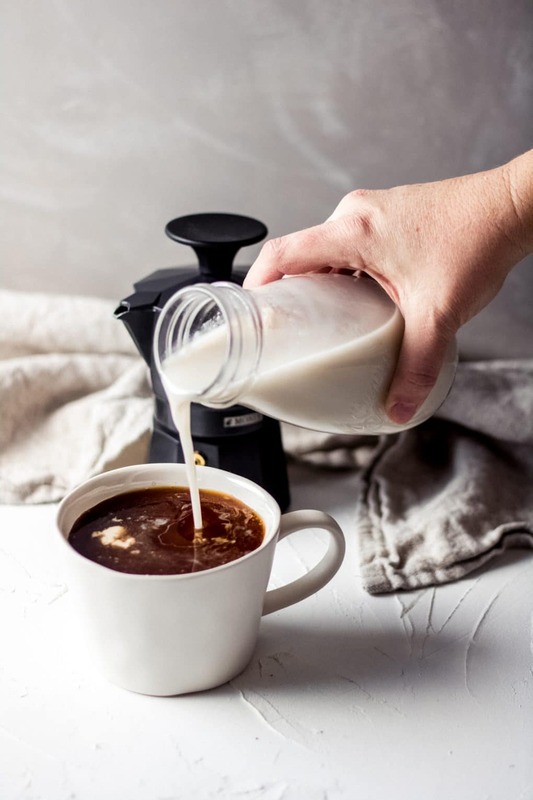 Homemade dairy free coffee creamer recipes are easy to make and much less expensive than their store-bought alternatives. Because I also have a severe nut-allergy, all of our dairy free recipes are also nut-free and gluten-free, too. Using just a handful of ingredients and an air-tight container, you can easily make your own dairy free alternative right at home! I’ve gathered up our favorite recipes that I think you will love. Check out some of our favorites! From salted caramel to classic vanilla bean to creamers made with coconut oil – here is our collection of dairy free coffee creamers. Homemade Dairy Free Salted Caramel Coffee Creamer – If you love salted caramel, this one is for you! Mocha Coconut Oil Coffee Creamer – A velvety coffee creamer option. Dairy Free Vanilla Coffee Creamer Recipe – A classic vanilla bean flavor. Dairy-Free Cinnamon Roll Coffee Creamer – A rich and creamy dairy free coffee creamer full of cinnamon flavor. Paleo Pumpkin Coffee Creamer – Made with real pumpkin pureé! Cold Brew Coffee with Homemade Vanilla Creamer – Perfect dairy free iced coffee drink for a hot summer’s day! What is a good substitute for coffee creamer? Any non-dairy milk product can be a good substitute for coffee creamer. Because of my nut allergy, I am unable to use products such as almond or cashew milk. Instead, I find full-fat coconut milk and coconut oil as good substitutes for coffee creamer and still get that rich velvety texture with my coffee. Is coffee creamer Keto friendly? 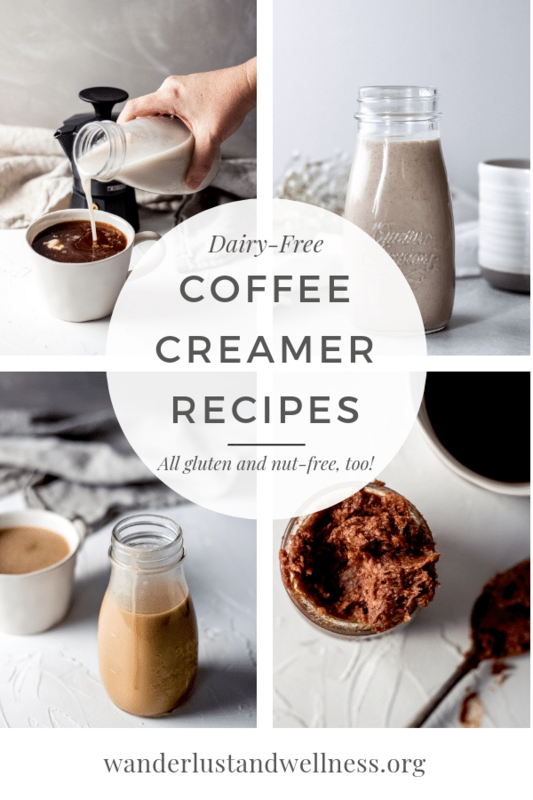 Most dairy free coffee creamer recipes here are Keto friendly, also Paleo and Whole30 friendly, however, I would suggest looking at the ingredients of each recipe specifically to make that determination. Looking for a specific dairy free coffee creamer flavor? Shoot us an email or comment below to send us a request!